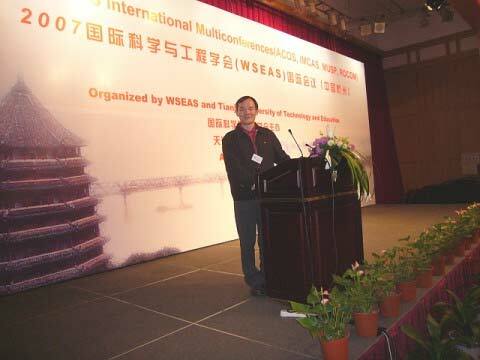 They were organized by the WSEAS and the Tianjin University of Technology and Education. 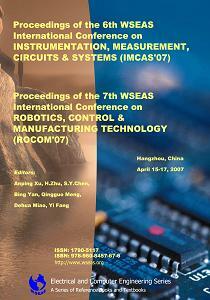 Prof. Anping Xu, Prof. S. Chen and Prof. N. Bardis worked very hard for the success of these events. WSEAS thanks them cordially. They welcomed the participants and explained the latest developments that have taken place at WSEAS conferences in Hangzhou. They referred in particular to the importance of these conferences and their very successful history since the first meeting. The series has been held annually since then in response to the interest of the international community in the topic. 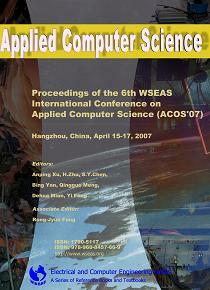 So, they announced the same conferences again in Hangzhou in April of 2008. The WSEAS Organizers, Prof. Anping Xu, Prof. S. Chen , Prof. N. Bardis, Prof. H. Zhu, Prof. Bing Yan, Prof. Qingguo Meng, Prof. Dehua Miao, Prof. Yi Fang, met over a dinner (not the official Banquet of the Conference) to discuss improvements in the future WSEAS meetings in Hangzhou (see the WSEAS programme in 2008). They discussed also possibilities for joint research projects. 3) The conference Books (Hard-Copy Proceedings), CD-ROM proceedings and (Journals with selected papers) published by WSEAS Press continue to sell for a long time after the meeting has taken place. This is another demonstration of the prestige the scientific community attribute to the meetings organised by the WSEAS.
.: What is the Permanent Procedure for additional Journal publication for a very small number of High-Quality Papers presented in WSEAS Conferences. One month after the conference, we have started the evaluation of the papers from the conference in China (Hangzhou) for possible inclusion of their extended and enhanced versions in the WSEAS Journals. You must receive an email notification from Nikos after your submission. Nikos Bardis will check: if it is really an extended paper of our conference and if it fulfils the requirements of the previous paragraph a). If not, he is entitled to reject it from this early stage informing you properly. c) If Prof.Bardis verifies that your paper fulfils the requirements of the paragraph a), then he will send it to 3 independent Reviewers outside your country. The positive answer of the 3 reviewers is necessary (i.e. 2 yes and 1 no implies NO, i.e.rejection). Abstract: Based on biological prototype of human brain and improved understanding of the functionality of the neurons and the pattern of their interconnections in the brain, many mathematical models of neural networks have been proposed to perform useful computational functions in different applications. Among these NN models, a theoretical model used to explain the information-processing characteristics of the cerebellum was developed independently by Marr (1969) and Albus (1971). CMAC, first proposed by Albus, signifies cerebellar model articulation controller. CMAC is a learning structure that imitates the organization and functionality of the cerebellum of the human brain. That model revealed the structure and functionality of the various cells and fibers in the cerebellum. The core of CMAC is an associative memory which has the ability to realize complex nonlinear functions. CMAC takes advantage of the input-redundancy by using distributed storage and can learn nonlinear functions extremely quickly due to the local adjustment of its weights. CMAC has been applied in the closed-loop control of complex dynamical systems for the reason of good generalization capability and fast learning property. Abstract: Τhe one way (non invertible) transformations constitute the basis of the contemporary cryptography. A substantial part of the contemporary cryptographic algorithms is based on the one way transformations, which use the Boolean functions. In particular, the cryptographic properties of two most important classes of the algorithms (block cipher and stream ciphers for symmetrical coding) are based on the Boolean transformations. In this Plenary Lecture, the contemporary state of the Boolean functions theory will be presented in details including specific cryptographic tasks for implementation. The basic properties of the Boolean functions, which are important for the cryptographic applications, and also the contemporary state of the problem for obtaining the Boolean functions, which possess such properties, will be mentioned, analyzed and discussed. Considerable attention will be given to the theoretical issues of the development of the Boolean functions for developing and implementing effective cryptographic systems. Abstract: The 3D model of an object or environment is very important to many practical applications, e.g. hypermedia techniques, interactive handling/working, virtualized reality, interactive exploration, robot autonomous applications, etc. An efficient way to obtain such models is using 3D vision. However, since no prior information about the targets is available before the vision task is taking place, it is desired that the robot is capable to purposively decide how to finish the modeling task without human interference. The project investigates the issue of intentional perception planning in which there are three related problems to be tackled, i.e. perception planning, purposive sensor configuration, and 3D model construction. They are considered in an autonomous vision system which employs an observing strategy for target modeling. The research develops methods to actively decide the viewpoints and sensor configuration to observe specific aspects of the target and estimates the modeling state or completeness. The system analyzes the obtained information and performs the perception strategy that automatically generates a multi-view plan. The research would lead to fully automate the modeling process and have the mechanism to autonomously move and change sensing parameters for complete 3D data recovery. The Coffee, Tea, Sweets, Cakes and Pastries were available for the Guests. 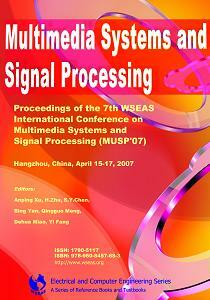 WSEAS thanks the Tianjin University of Technology and Education. The Banquet was superb, fantastic with many surprises. Participants enjoyed a wonderful self-service buffet (more than 40 courses) with many attractions and chinese music and chinese dancers (see the photos above). Several Excursions and short visits to the monuments of the town as well as of Benjin took place before and after the WSEAS Conferences.